Supplying freight car parts and an extensive bolster/side frame inventory to keep your car repairs on schedule. In stock orders ship within 1-2 business days. Automatic Equipment Identification (AEI) system installation, repair, and services. Automatic Equipment Identification solutions from new AEI tags with programming, AEI readers, and software support that leads the industry. Let us help you with your rail car identification needs. Optical Character Recognition (OCR) imaging systems and high resolution image inspection systems. 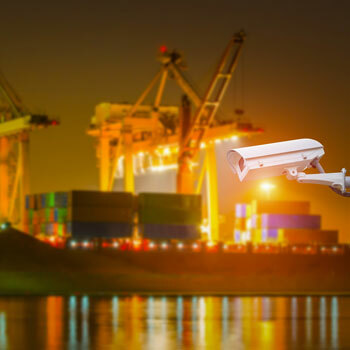 OCR system installation, development, and performance monitoring solutions with system maintenance for ports and intermodal terminals. Digitally seeing and reporting identification markings with OCR technology. 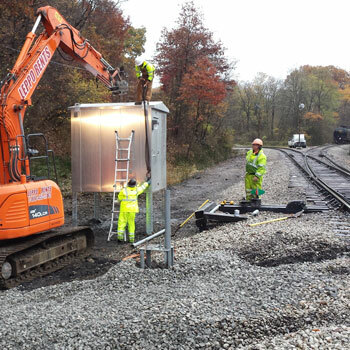 Installing, repairing, and servicing systems for class one railroad networks with technicians located throughout the country. 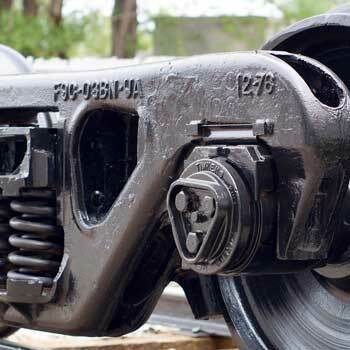 Comet Rail Products, Inc. is a comprehensive supplier of new and reconditioned freight car parts. With a diverse inventory and a sales team with over 75 years of experience in the rail industry, we are a great one-stop shop for your freight railcar part demands. Our M-214 reconditioning shop and extensive core inventory can service your truck casting needs. Comet Electronics, LLC specializes in Automatic Equipment Identification (AEI) equipment and systems for rail car identification. Comet delivers a wide range of solutions to cover technical support for software & hardware, repair shop, on-site maintenance contracts, and a construction crew for installation and optimization of your new system. Comet Port Services provides Optical Character Recognition (OCR) systems and high resolution image inspection systems for cranes and automated gate system technology. Comet supports ports and intermodal terminals with standardized and custom systems, performance monitoring, and systems maintenance programs. Comet Communication and Signal, Inc provides contract services for class one railroads across 7 states with main offices in Kansas City Missouri and Shreveport Louisiana. 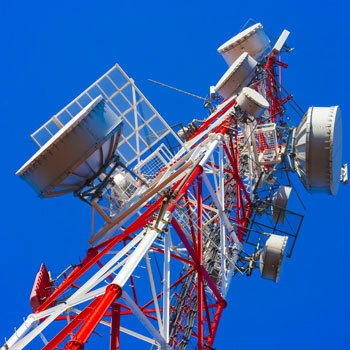 Contract services include: Radio shop service repair, Field support for microwave communications, Wi-Fi implementation and maintenance for wi-fi enabled and locomotive uses, Centralized Traffic Control Communications backhaul, Automatic Equipment Identifiers (AEI), Office and data network support including Cisco hardware, as well as Camera system diagnostics and various radio links.